The Minister of Public Enterprises is standing by the government’s decision to support the ongoing negotiations about the Pacific Agreement on Closer Economic Relations (P.A.C.E.R) Plus. Speaking during the recent P.A.C.E.R Plus Forum in Apia, Lautafi Fio Purcell, said there are many positives for Samoa. 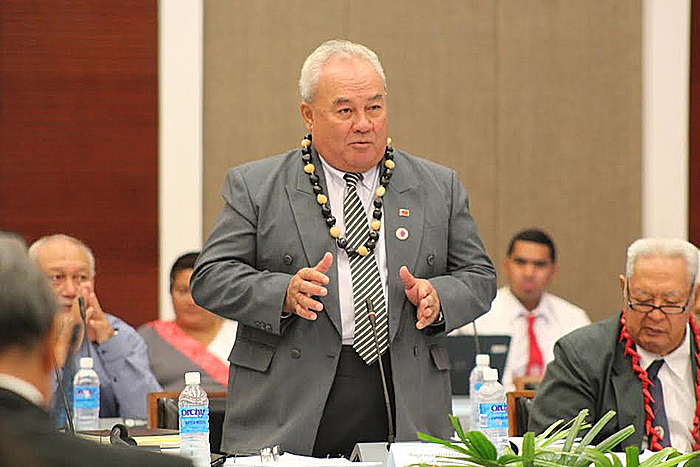 “P.A.C.E.R Plus can provide opportunities for Samoa to enhance its capacity to trade including meeting the biosecurity and technical regulations of key trading partners; and improved customs procedures,” he said. The recent outreach programmes, the Minister said, are part of the final phase of P.A.C.E.R Plus negotiations, bringing an end to seven years of hard work. “The Economy is a key priority sector in the Strategy for the Development of Samoa, recognising the importance of re-invigorating agriculture, providing an enabling business environment and continuing efforts in revitalising exports. Trade, on its own, cannot single-handedly deliver all this but it is undoubtedly an instrumental vehicle to drive Samoa’s economic growth and development,” said Lautafi. “Samoa has continued to run a merchandise trade deficit since the 1980s with imports far exceeding the volume of our exports. “The Pacific continues to be Samoa’s main market for exports accounting for approximately 72% in 2015. “The Pacific has also been traditionally the main source of imports for Samoa but now competes with imports from Asia. “In this interdependent world that we live in, it is necessary for Samoa to deepen its economic and trade links with countries in the Pacific region. “P.A.C.E.R Plus is expected to be the platform to facilitate regional trade aimed at ensuring the greater participation of the Forum Island Countries in regional and international trade. P.A.C.E.R Plus will create a regional market of 40 million people.” But Lautafi is also mindful about the negatives. “At the same time, we are also mindful of the implications that P.A.C.E.R Plus may have on our economy, society and environment in the long term. “I had the pleasure of leading Samoa’s delegation to the Special Ministerial meetings on P.A.C.E.R Plus in Christchurch last month. I can attest that trade negotiations are complex and technical. “I am pleased to inform you that the Special Ministerial meeting on P.A.C.E.R Plus held last month in Christchurch, NZ and Australia have committed to provide A$7.7 million dollars to assist all Forum Countries who will be Signatories to the P.A.C.E.R Plus Agreement. P.A.C.E.R Plus promises to “stimulate economic growth and job creation by reducing trade costs of exporting goods and services; an opportunity to attract foreign investment; an opportunity to access cheaper goods for consumers and local producers.” It is being negotiated between Australia, New Zealand and the Pacific countries. Papua New Guinea and Fiji for example have withdrawn altogether. Vanuatu, we understand, is considering following P.N.G and Fiji’s example. Away from the government level, there are very strong opponents of the agreement among the civil societies; many of them have been extremely vocal in warning the Pacific representatives to proceed with caution. Their objections seem to have found renew vigour in a recently commissioned report titled “Defending Pacific Ways of Life: A Peoples Social Impact Assessment of PACER-Plus” by the Pacific Network on Globalisation (P.A.N.G).